The Woodlands Primary School Board strongly encourage the wearing of the school uniform for students in Kindy to Year 6. Kindergarten students may wear general clothing if parents prefer. adds to a student’s feeling of "belonging". contributes to a student’s pride in the school. minimises hurtful competition in clothing. Faction T-shirts and sport shorts may be worn on sports and Phys Ed days. 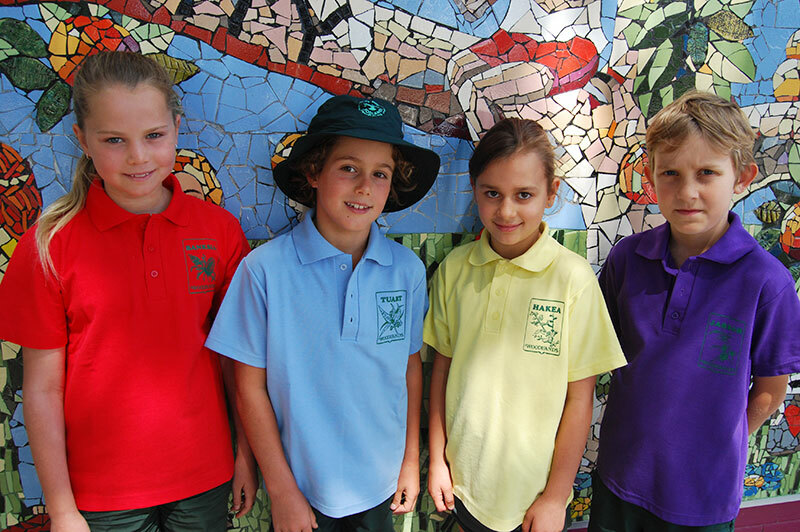 The interschool shirt is worn only for interschool events (swimming, cross country, netball and athletics). 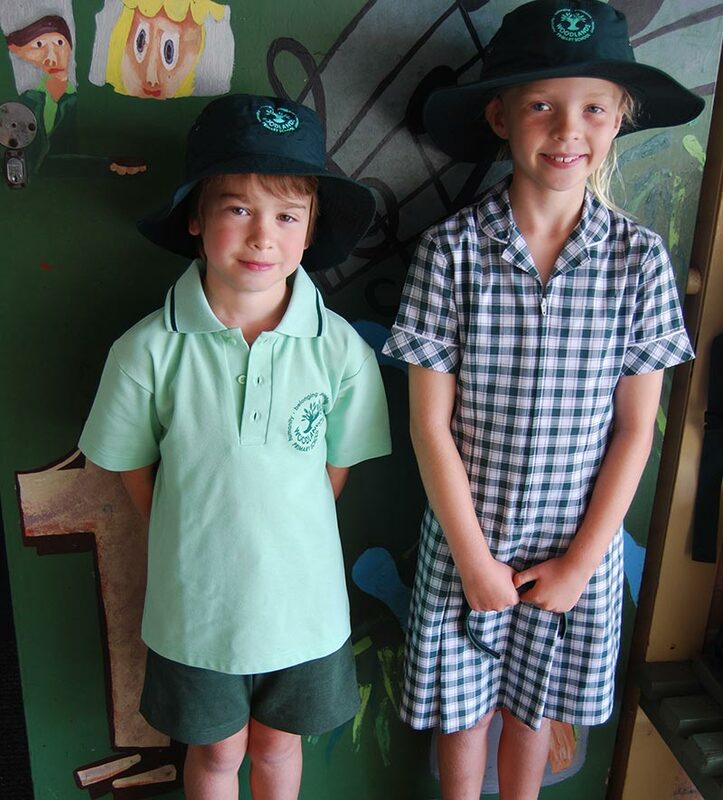 When representing the school on an excursion, Pre-primary to Year 6 students are expected to wear the official school uniform – a light green polo shirt, school skort or shorts, school dress, windcheater and hat. Where the school uniform policy could present financial hardship to a family, on request, the school will arrange the loan of all or part of the required uniform. Purchase of pre-used uniforms can also be made at the uniform shop which is run by the P&C. Light green polo shirt with school logo. Faction coloured polo shirt with faction logo. Green shorts and green sport shorts. Shoes or joggers and socks, or sandals. Green shorts/green skorts/green sport shorts. The Sun Smart Policy recommends the wearing of broad brimmed (>8cm brim), bucket or legionnaire hats. Bottle green hats with the school logo are encouraged. These are available to purchase from the uniform shop. Students are advised to wear hats based on the recommendations of the Bureau of Meteorology, which are regularly revised by the school. A ‘no hat no play’ policy applies at recess and lunchtimes during these periods. Students without an acceptable hat will be required to remain under the covered areas of the school. 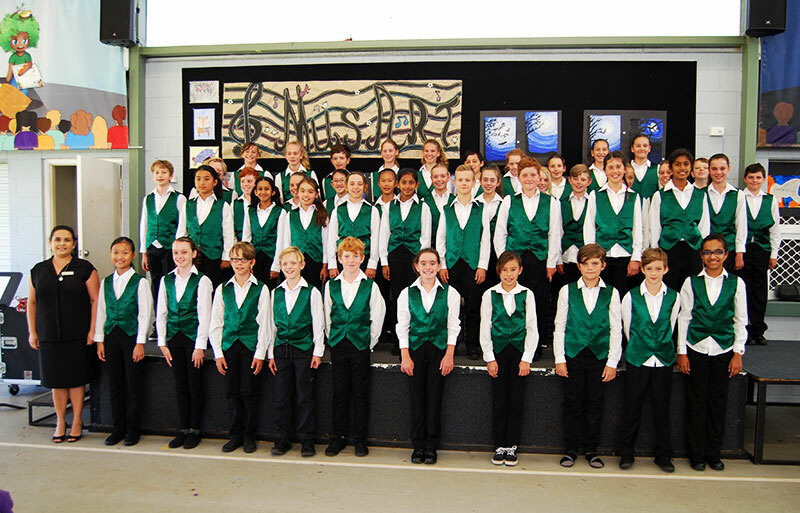 The Choir uniform for the senior choir (year 5 & 6) consists of a long sleeved white shirt, black pants, black shoes and a green satin vest. The green satin vest is supplied by the school through the music teacher. Parents are required to supply the long sleeved white shirt, black pants and black shoes. The Woodlands PS uniform shop stocks the long sleeved white shirt for purchase. Choir students will be required to wear this uniform during performances in school and at external events. The choir teacher will advise you with advanced notice as to when the uniform is required. The uniform shop is run by the P&C and is staffed by a team of dedicated volunteers. All of the clothing items listed above, as well as second-hand clothing, is available from the school uniform shop. The uniform shop is currently open between 8.30 and 9.30 every Wednesday. Please check the latest school newsletter and school website for the most current opening hours and days. Uniform order forms are located in the front office or can be printed from the attachment below. Uniforms can be ordered and paid for by cash/cheque, or complete the credit card details on the order form, and place it in the locked P&C box in the front office. 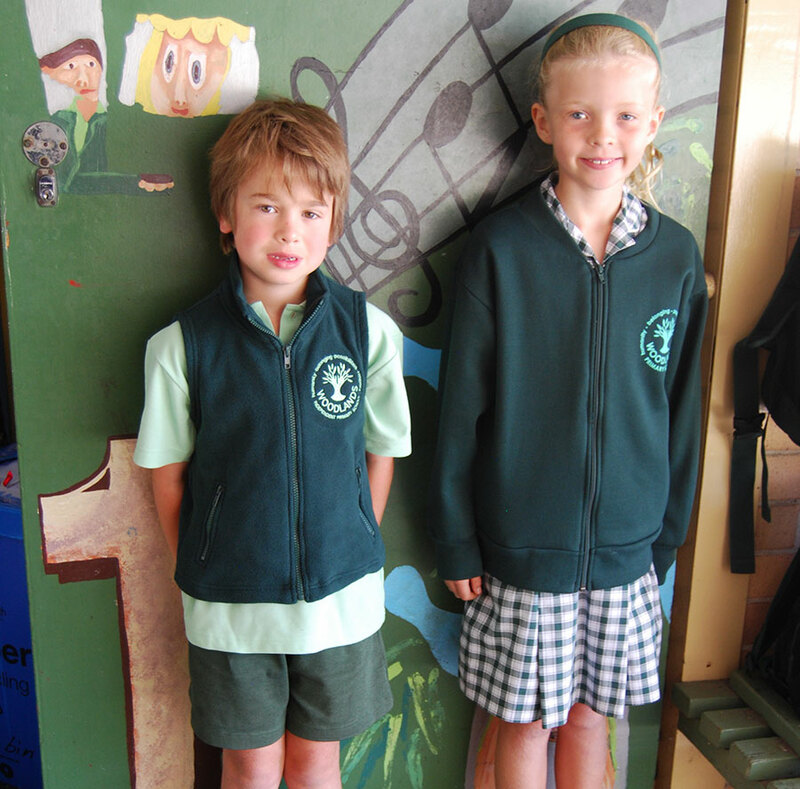 The uniform shop team will collect and process your order and deliver to your child’s classroom to take home. Uniforms can also be ordered online at https://quickcliq.com.au/. The order will then be processed by the uniform shop team and delivered to your child's classroom. Students become very distressed when they lose or break jewellery. In some cases, jewellery can also be a cause of injury. Jewellery should not be worn except for ear studs and inexpensive watches. Graduation shirts for Year 6 students are organised by the Year 6 teachers. These will be ordered at the beginning of the year and parents will be advised of ordering details by the classroom teacher once finalised. Please ensure that all items of clothing have your full child’s name on them. This assists in the return of lost clothing back to your child, alternatively we have a lost property tub in the front office. Unclaimed and unnamed items will be placed with all the 2nd hand items for sale in the uniform shop, or sent away to a charitable organisation.